Platform as a Service, also known as PaaS, is a development and deployment environment that exists within the Cloud. 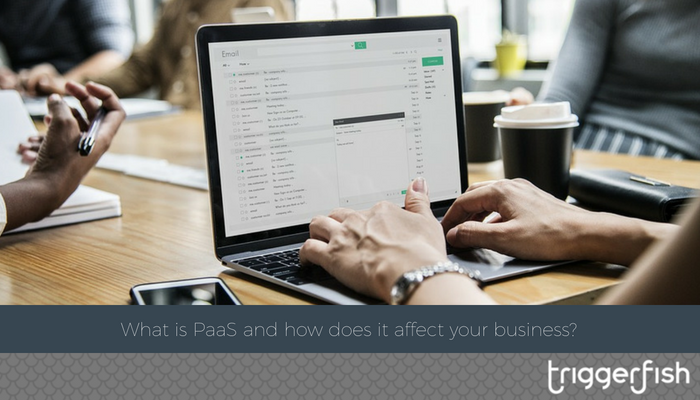 PaaS allows businesses to deliver sophisticated and straightforward applications with increased speed and agility, with the convenience of a pay-as-you-go cost solution and access via secure internet connections. The service includes infrastructure but also provides businesses with development tools, database management systems, business intelligence, operating systems, business analytics, and more. This means that PaaS can support a complete web application lifecycle, providing solutions that a business can utilise from build, through testing, into deployment, and on into management and updating phases. The primary benefit of PaaS for business is a reduction in costs and complexity. Companies who engage with Platform as a Service solutions avoid having to buy and manage software licences, manage their infrastructure and development resources, and waste time building, testing, and delivering services over multiple platforms. With PaaS, applications and services are operated by the company, and a cloud service provider handles the rest. This helps businesses focus on delivering apps, tools, and services that they can leverage toward success, rather than wasting time with licences and spending resources on services that they may not be used to their full capacity. Business Intelligence: PaaS tools enable businesses to analyse and understand their data, allowing them to discover patterns and predict outcomes that improve their existing strategies, infrastructure, products and design, investments, and business decisions. Development: Because PaaS provides a framework that developers can use to build on and customise cloud applications, companies can use it to improve their development processes. They benefit from the scalability, agility, and availability of the Cloud, while also reducing the work required by their internal IT teams. Productivity: Another significant benefit of PaaS is increased speed of development and deployment. Companies can utilise PaaS to create apps and services at an increased pace, while also providing heightened control and mobility for their development team. Multi-Platform Capability: Some service providers allow companies to develop for multiple platforms, enabling capabilities across mobile devices and browsers, as well as cross-platform applications. Cost effective: One of the significant benefits of Platform as a Service is that it operates on a pay-as-you-go basis, allowing businesses to use the service as they require and not spend beyond what is required. Platform as a Service provides businesses with the capabilities they need to support a complete web application lifecycle. From inception, through testing, into development, deployment, and beyond – PaaS can help businesses build success. With benefits like cost reduction, improved infrastructure, lower skill requirements, and increased flexibility and agility, companies who have not yet discovered PaaS should be considering how it can help better their business. If you are interested in finding out whether Platform as a Service is right for your business – contact Triggerfish today. As inbound marketing experts, we believed that unique relationships with our customers are at the heart of profitable growth. We can help you find the right solution for your company’s needs. Contact us for a free 90-minute meeting to get started.